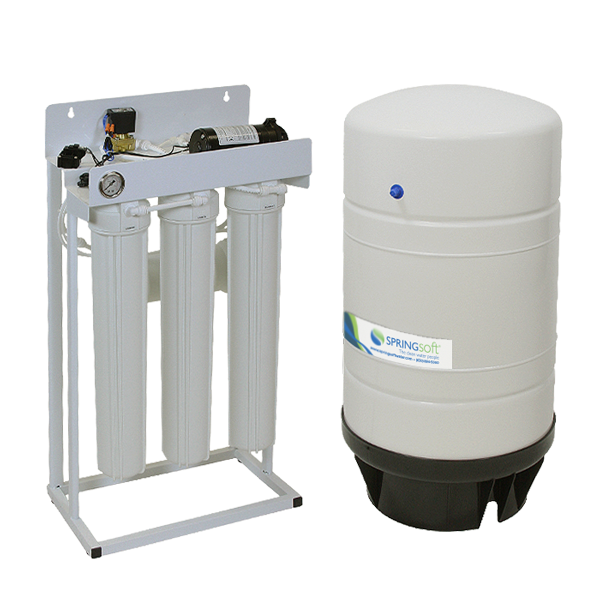 Springsoft commercial reverse osmosis systems are engineered to produce clean, fresh water for commercial and industrial use. Each system is custom designed for production and storage based on each individual application. Production rates from 400 gallons per day to well over 18,000 gallons per day are available. Your Springsoft Water Specialist will assist with system sizing and placement for your current and future needs, as well as developing an on-going service plan to assure long term operation and performance.